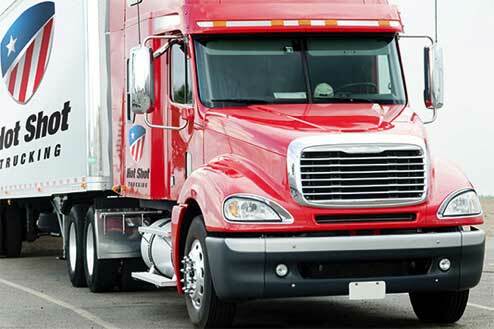 A Nationwide Expedited Freight Company for your Urgent Freight Shipments. Our extensive hot shot delivery & urgent freight expertise assists all industries including energy, automotive, steel and construction. Immediate help is at hand whether you need your hot shot freight shipped to the next state or 3,000 miles across the nation via a dedicated truck or van. We offer a wide range of Air Freight & Air Charter solutions designed for your time-critical shipments. Door to door service handled by our professional team. Wherever you need us we can help. Our skilled team of professional expeditors is ready 24/7 to ensure your hot shot shipment arrives on-time each and every time. Benefit from dependable hot shot trucking services that bring you peace of mind, allowing you to focus on running your business. We ensure hot shot freight of any size is delivered on-time, every time and we work according to your schedule and requirements. 24/7 customer support, satellite tracking and trained expeditors personally overseeing your hot shot freight throughout. Thousands of team and expedited drivers, over 50,000 vehicles and several transportation options available. We understand that you seek a dedicated freight company that fully understands the importance of hot shot freight delivery – whether your hot shot truck needs to travel 400 miles right now or a critical industrial part requires immediate hot shot shipping by ground or air via dedicated services to the other side of the country. We know that only a reliable and timely solution helps you meet the objectives of your business. 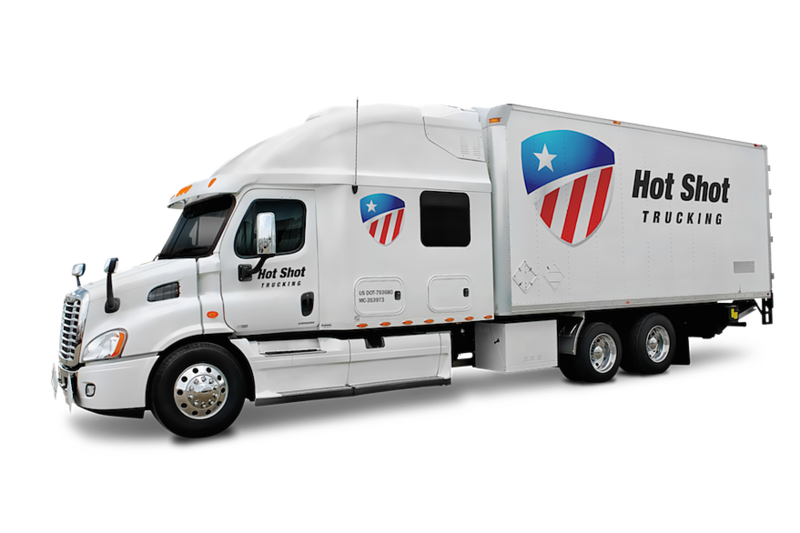 Your most critical hot shot freight needs to be in the hands of Hot Shot Trucking. Our solutions include a range of ground and air options allowing your deadlines to be met and your business to succeed. You need a trusted partner able to deliver your hot shot freight on time each and every time with services that are supported by genuine professionalism and our years of specific hot shot trucking industry expertise. At Hot Shot Trucking, we are uniquely positioned to assist with all of your hot shot freight service needs regardless of the size, freight origin and destination plus we couple that with our commitment to providing an outstanding level of customer service. We specialize in providing Hot Shot Trucking services nationwide and around the clock, we're ready to help. Each of our customers are provided with a single point of contact throughout the lifespan of your confirmed shipment, from the quote, to booking, overseeing the delivery throughout and even invoicing. We are committed to manage your hot shot trucking job professionally with dedication while taking a partnership approach to the safe and timely arrival of your hot shot freight shipment. Our consistency, dedication to customer satisfaction and taking the time to truly understand your hot shot needs set us apart in the industry. At Hot Shot Trucking we support the same industries where you work and know exactly what is required to provide great results for your business. The effective transportation of urgent parts and machinery is exactly the arena in which we specialize; dedicated freight, urgent freight, direct LTL freight and overnight transportation are the hot shot loads that our experienced team manage daily for our customers nationwide. Our comprehensive delivery network covers all of the USA and Canada and our fleet of drivers and logistics experts are ready to help you today. Typically we're able to have a vehicle heading to you within moments of contacting us to collect your hot shot freight and enable you to meet your critical trucking deadlines. Whether you require a van, straight truck or flatbed we have the resources ready to help supported by our team of professional hot shot expeditors who manage hot shot freight shipments every day of the week. For industry leading hot shot freight services that support the energy, automotive and construction sectors you need look no further than hotshottrucking.com. Our success is tied to your satisfaction and we welcome the opportunity to provide our comprehensive hot shot services via our fleet of expedited trucks, sprinter vans, flatbeds and full truckloads not to mention air freight and air charters if needed. To find out more and receive a full detailed quote please call 800-713-1000 or complete our quick quote form to get started. We look forward to providing your company with the very best in hot shot trucking services. This was hands down the best and most hassle free experience I’ve ever had dealing with a freight company in my 17 years of buying. Thank You Air Freight.com and I look forward to working with you again in the future. Our commitment to our clients and their urgent freight is reflected by the quality of our entire team at Hot Shot Trucking. We're a leading hot shot trucking company with the resources and network that support our goals.